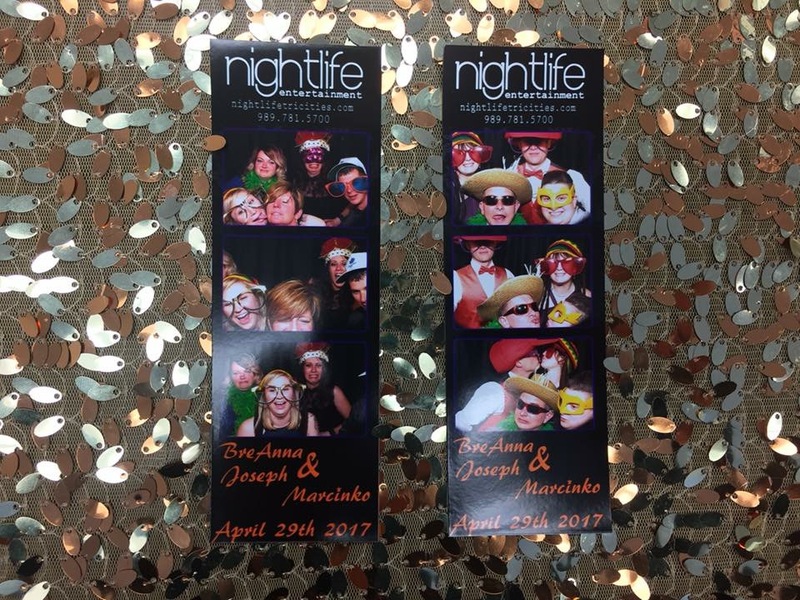 At Nightlife Entertainment, we offer Mirror and both enclosed and open Traditional Photo Booth rentals in Saginaw, Midland, Bay City, MI and surrounding areas throughout the Michigan Great Lakes Bay Region. 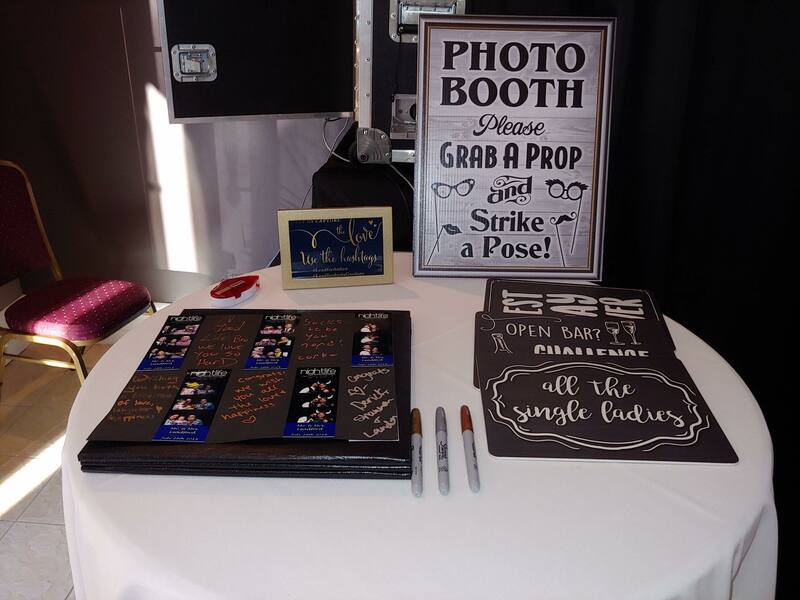 Whether you are tasked with planning your company holiday party, corporate/non-profit fundraiser or maybe you’re looking for a special form of entertainment for your wedding, you can never go wrong with a high-quality photo booth! 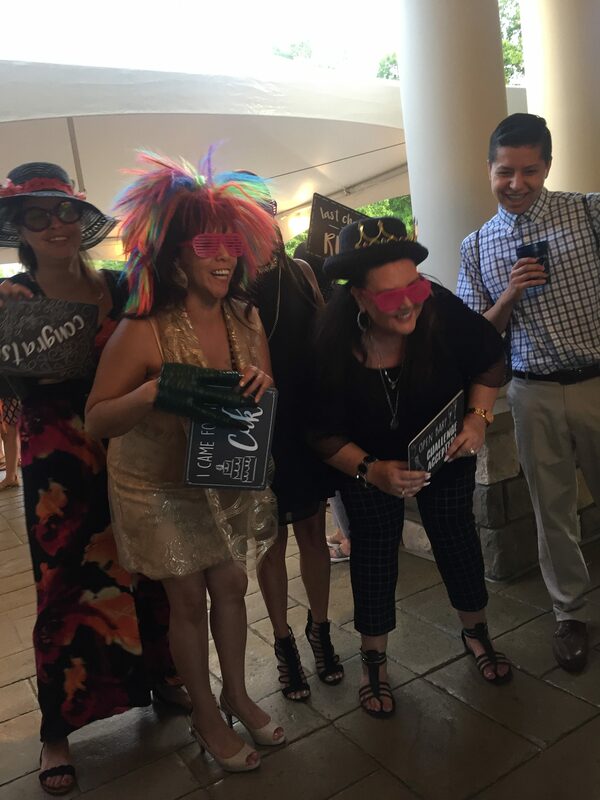 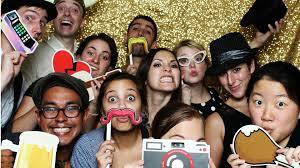 All photo booth packages are rentals that require a 3-hour minimum service. 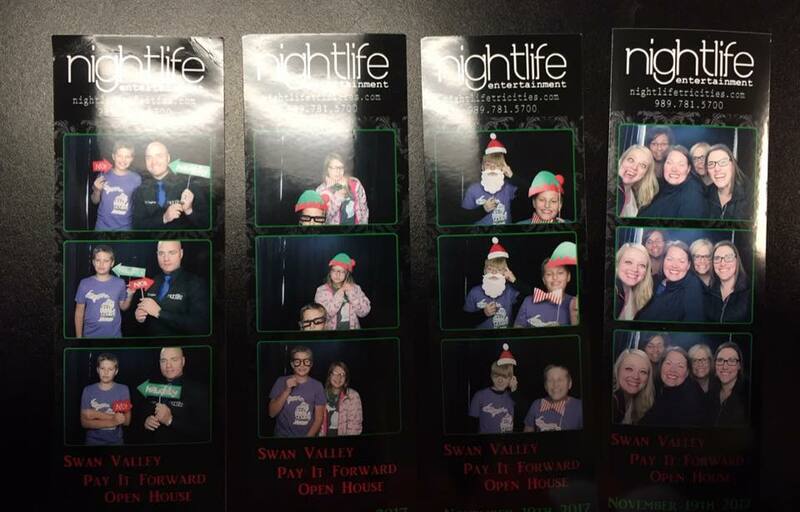 You may have a break of up to one hour in service during your contracted time with all packages. 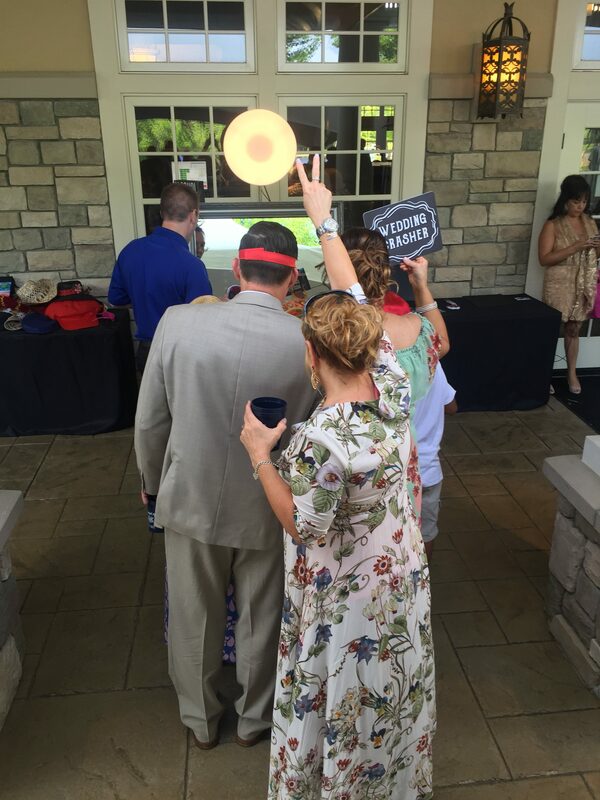 (Most events take a break at dinner time if they choose not to run their service hours consecutively.) 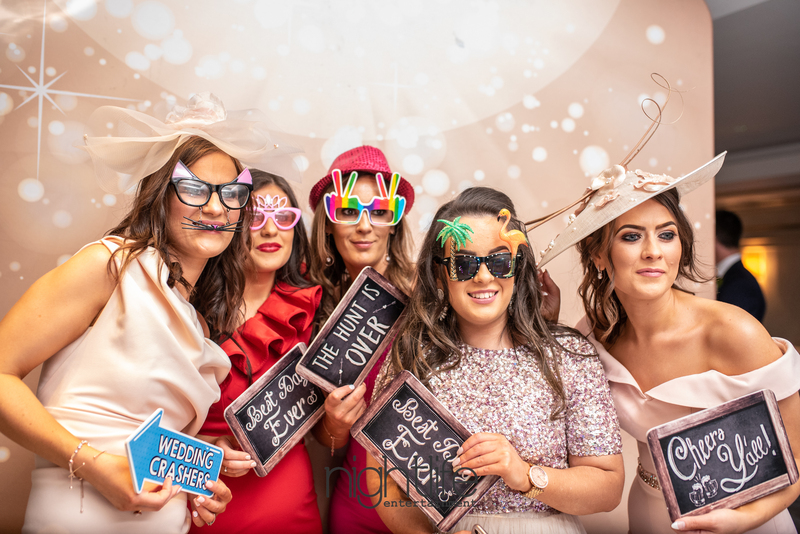 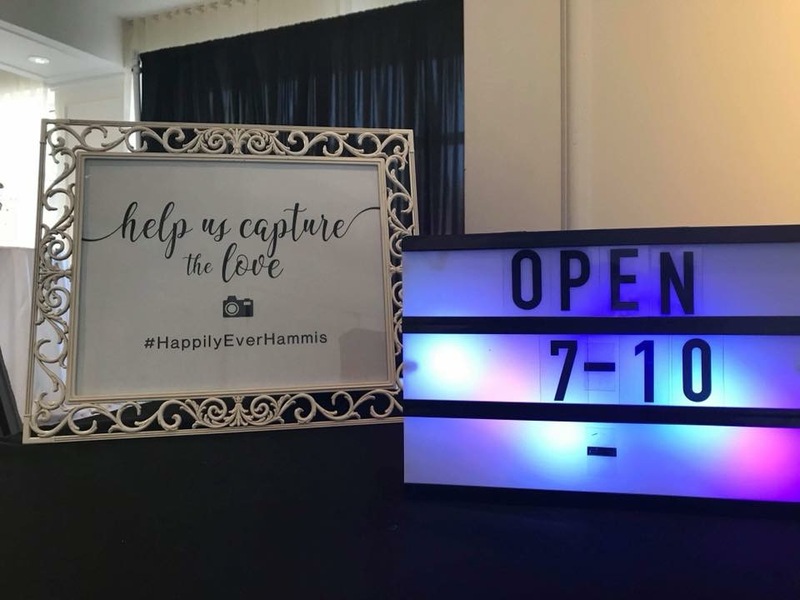 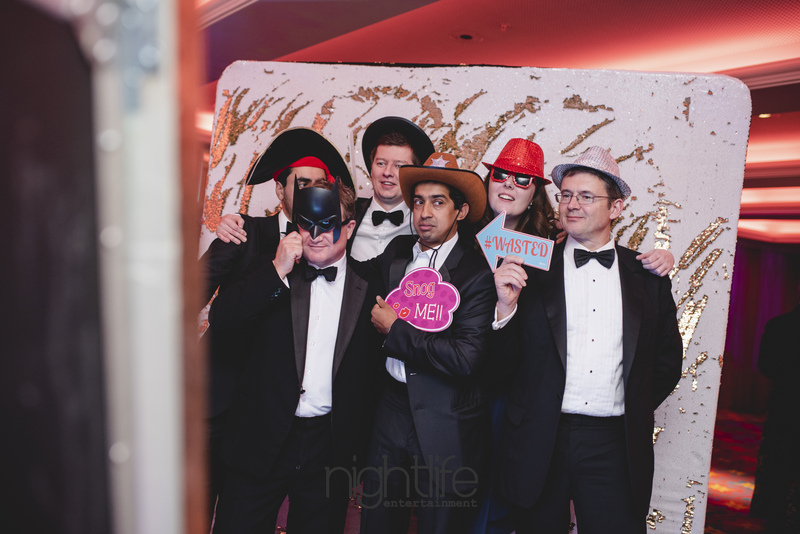 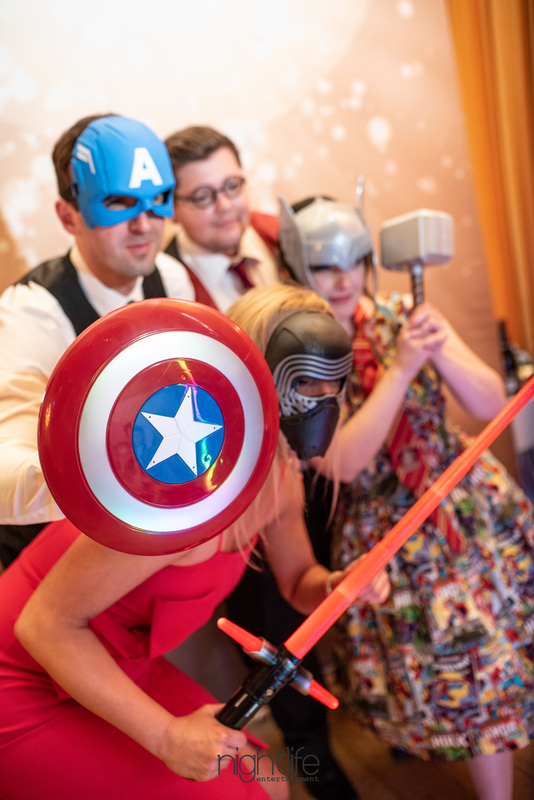 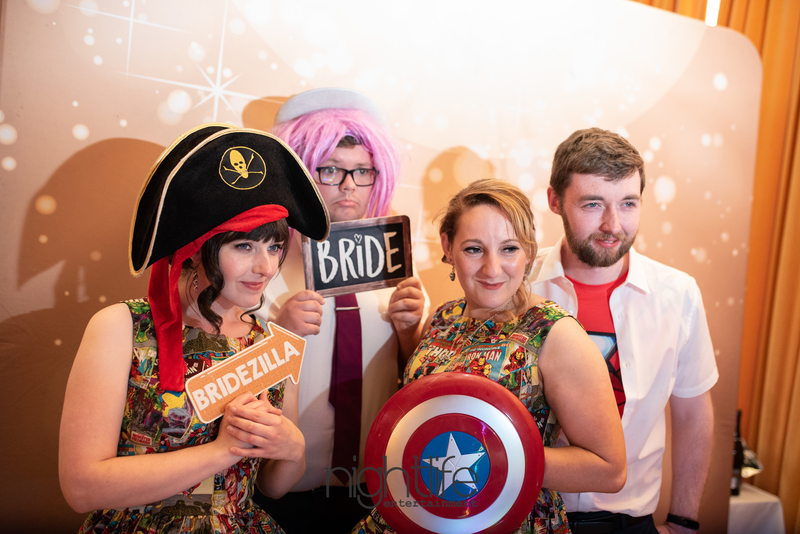 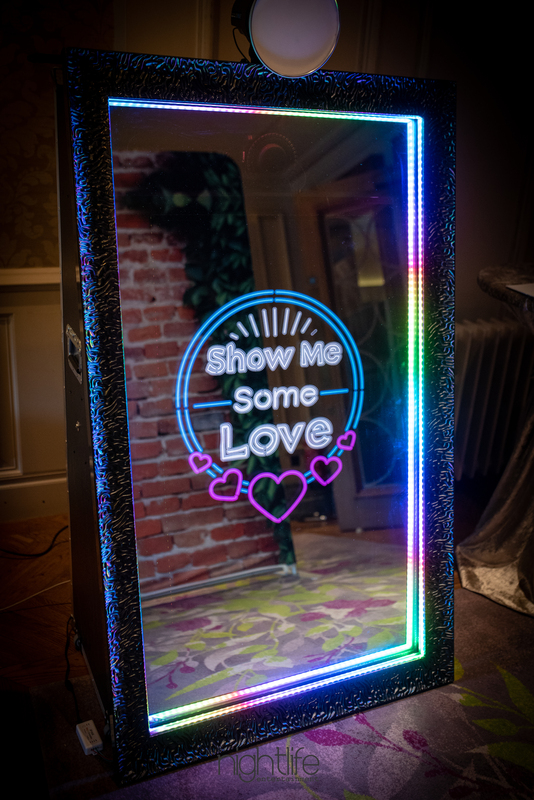 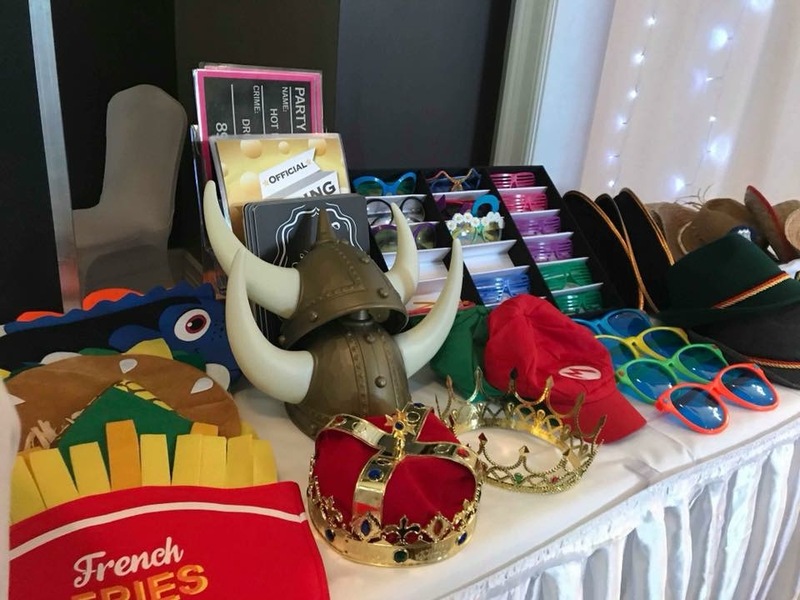 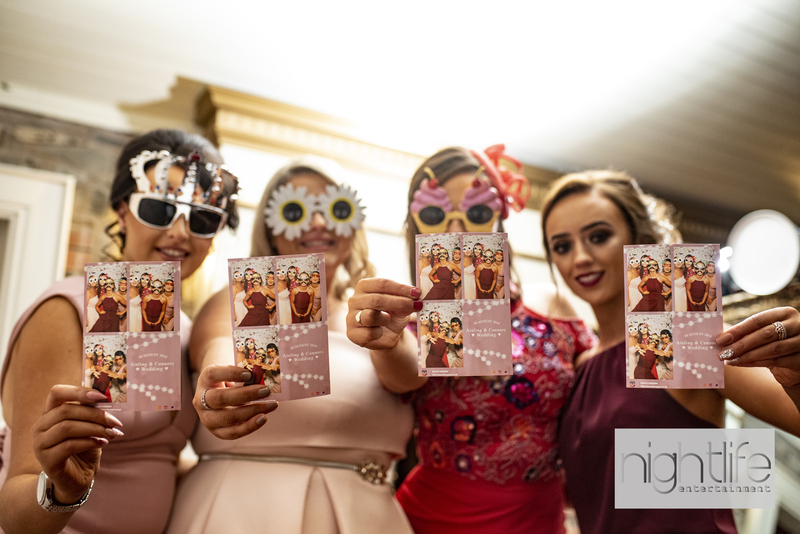 A photo booth attendant, memory keepsake guest book of all your strips, 1 USB with digital copies of all photos taken throughout the course of the night to share as you please and a full supply of premium table props are provided for your mirror booth rental. 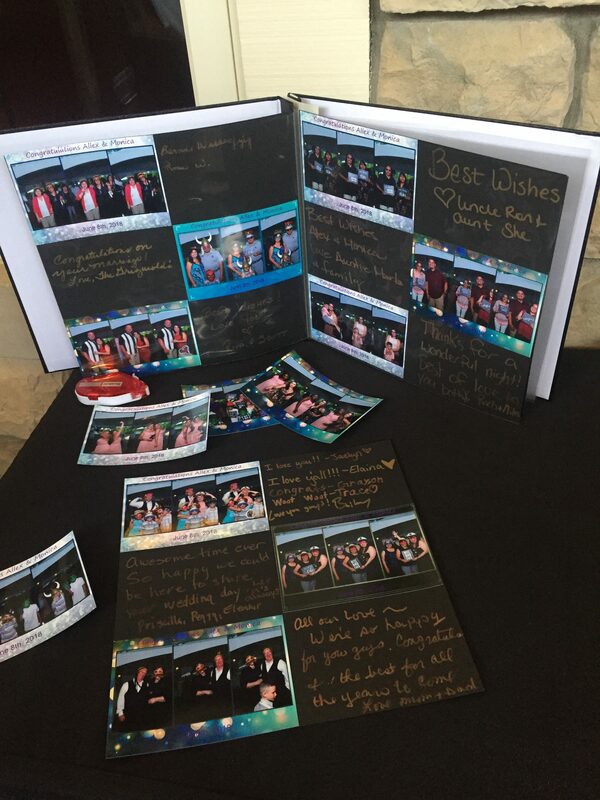 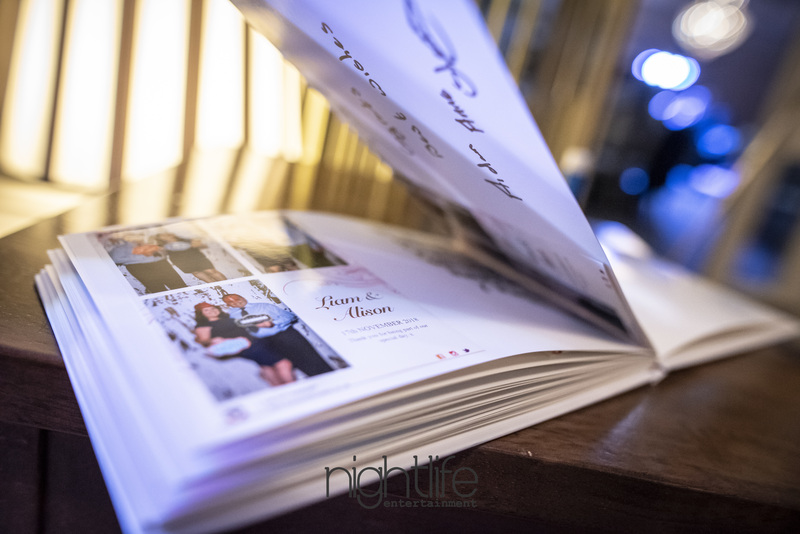 There are unlimited trips per guest allowed at every event, up to 4 copies of the photo is printed per booth session and as always, one copy printed for the couple’s guestbook, which your guests may sign! 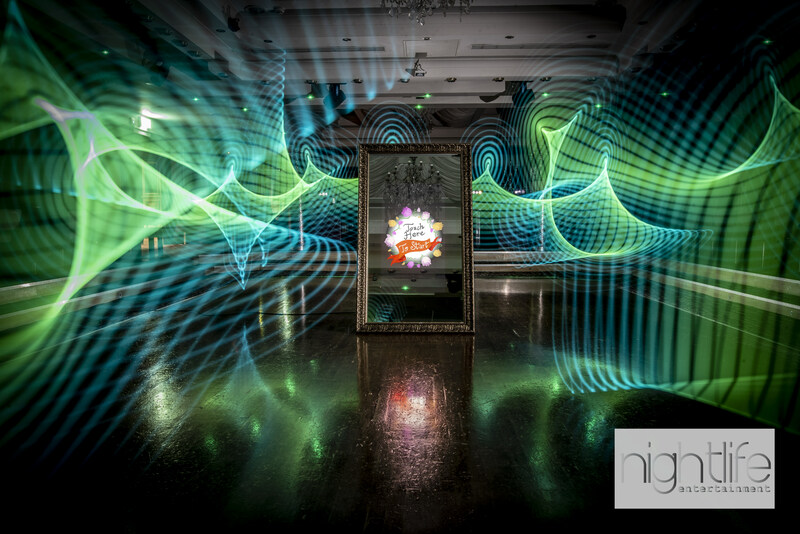 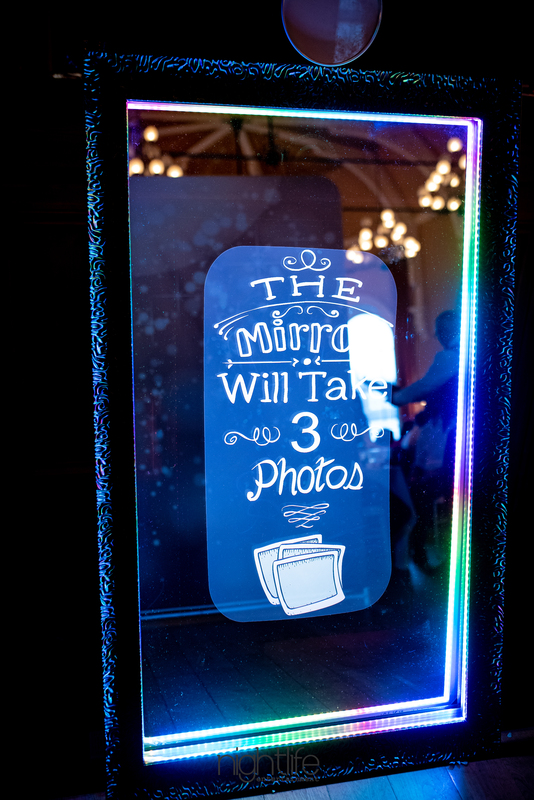 Enchanted Mirror Photo Booths: we use an open-air, backdrop free concept for our Mirror Booths. 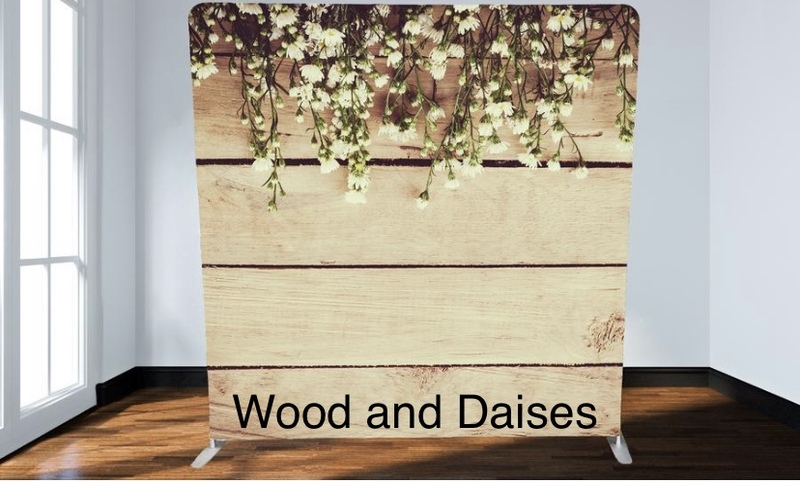 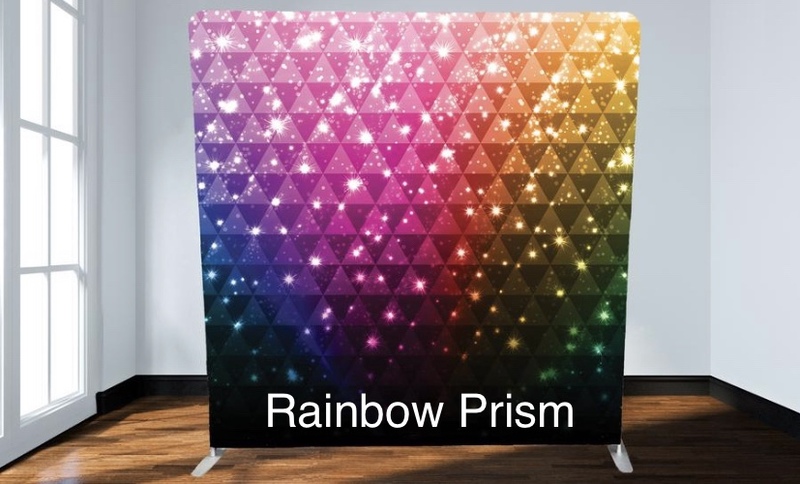 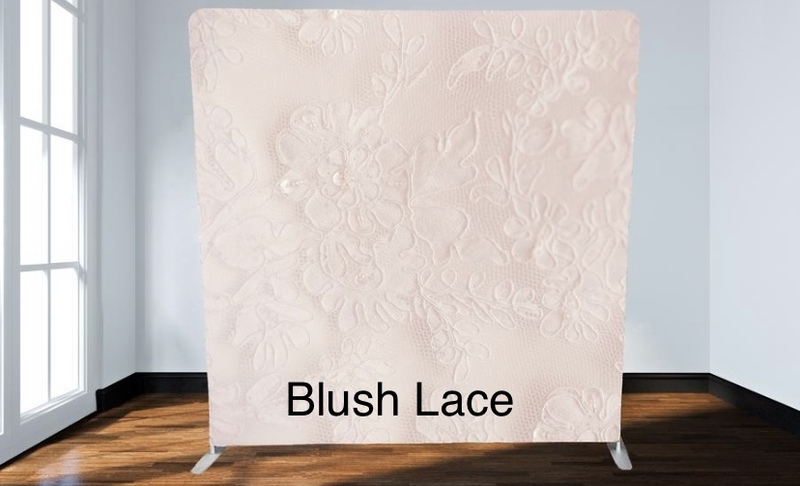 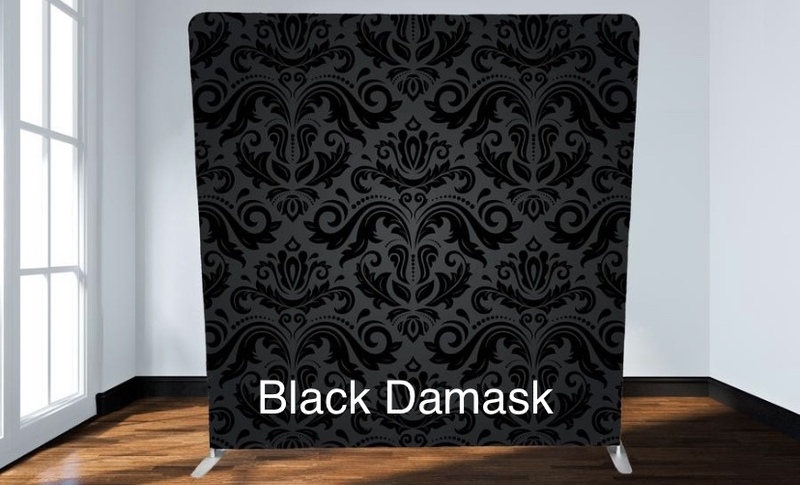 Backdrop options can be upgraded to the Mirror Booth and are shown below. 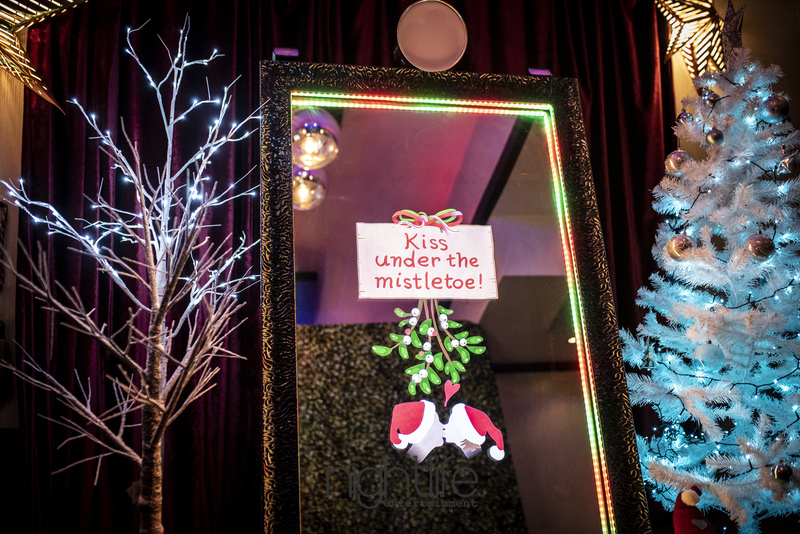 With our Enchanted Mirror Booth, 8-10 or more adult guests will comfortably fit per session, but of course, our record number has been 25 adults carefully arranged into one photo! 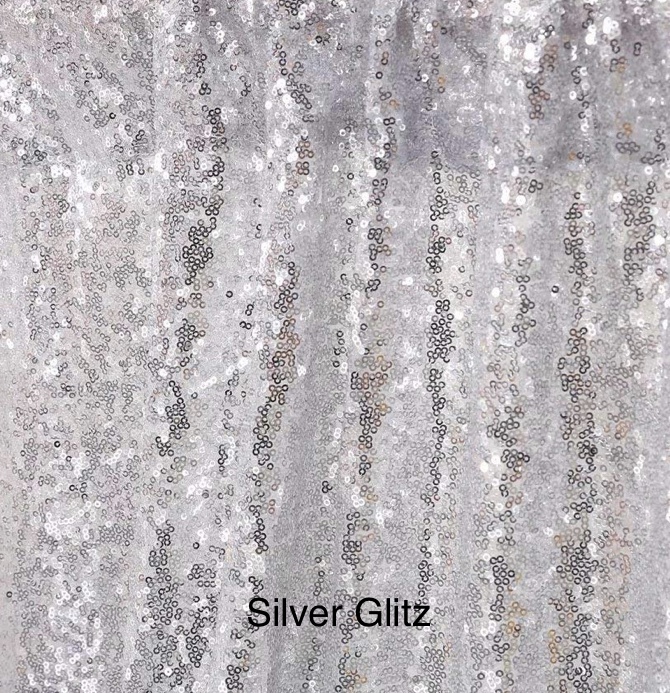 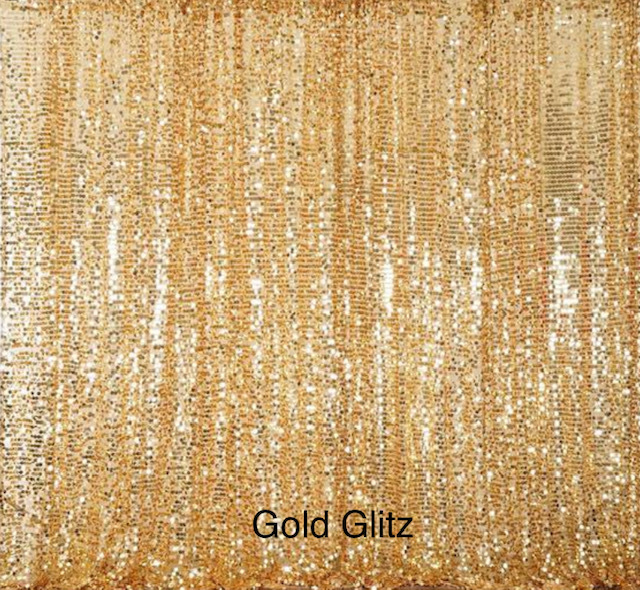 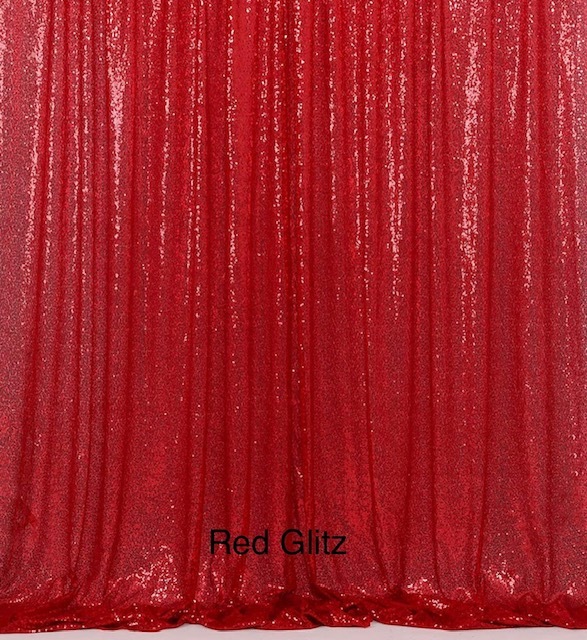 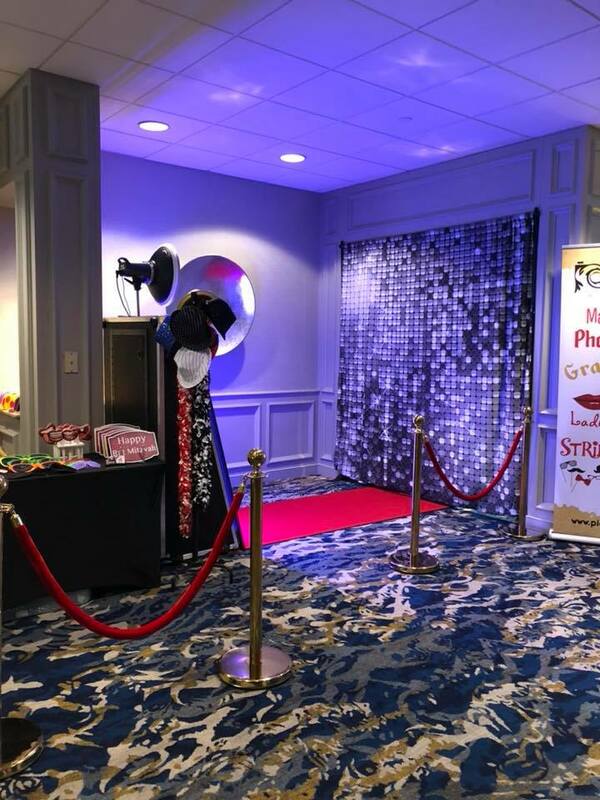 Your guests will be treated to a high end, highly interactive experience with a walk up a red carpet leading to an aesthetically pleasing attractive display. 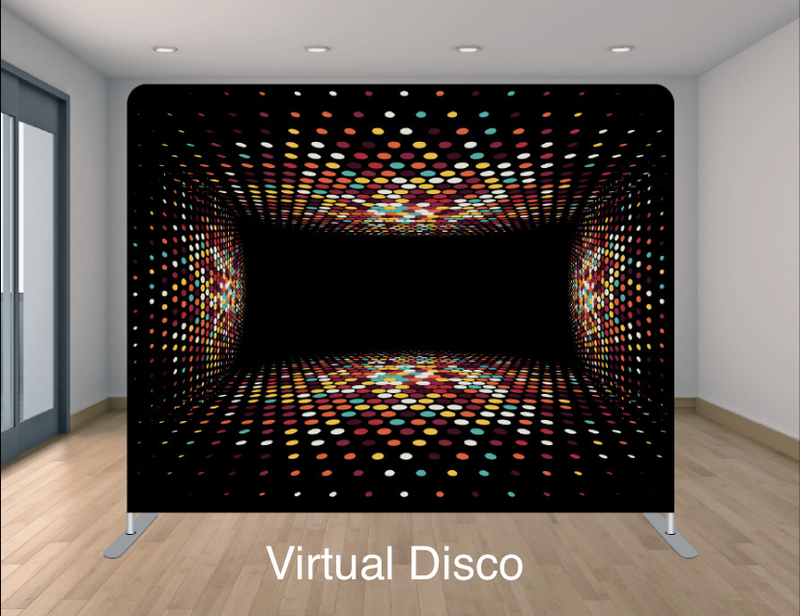 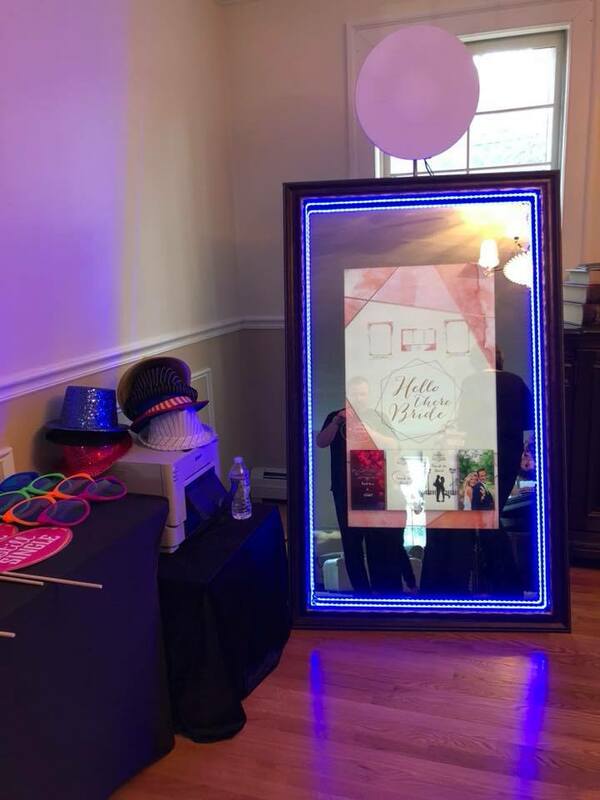 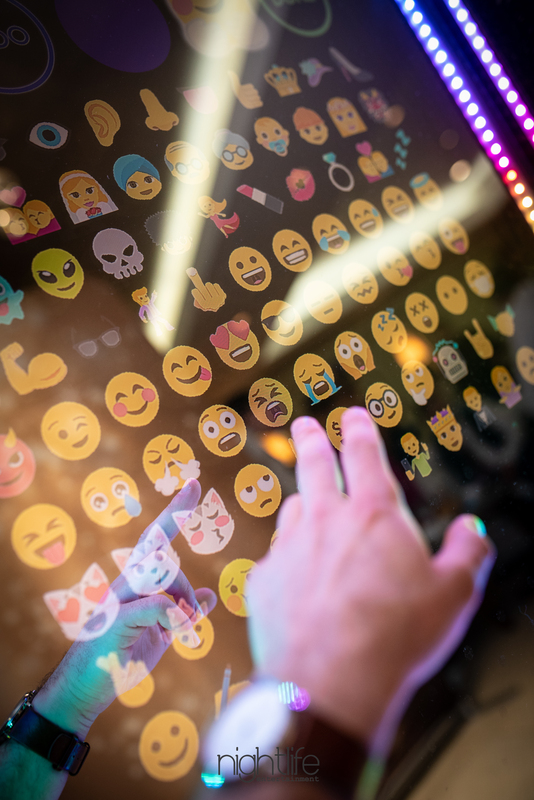 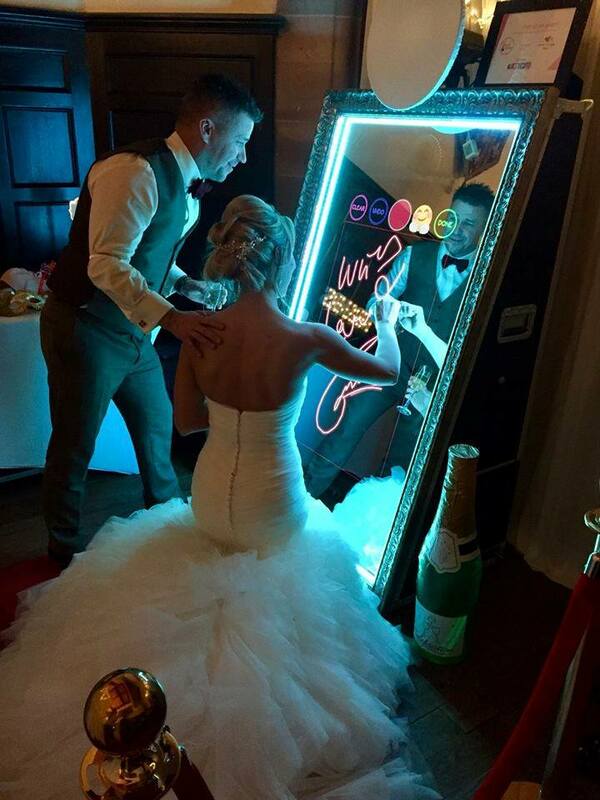 The Enchanted Mirror Booth is completely touch screen, LED lit, has the capability to have your guests sign the screen, use emojis, play short games and send their prints to their phone number or email address for social media sharing, create short videos and use GIFS out of their booth prints and more! 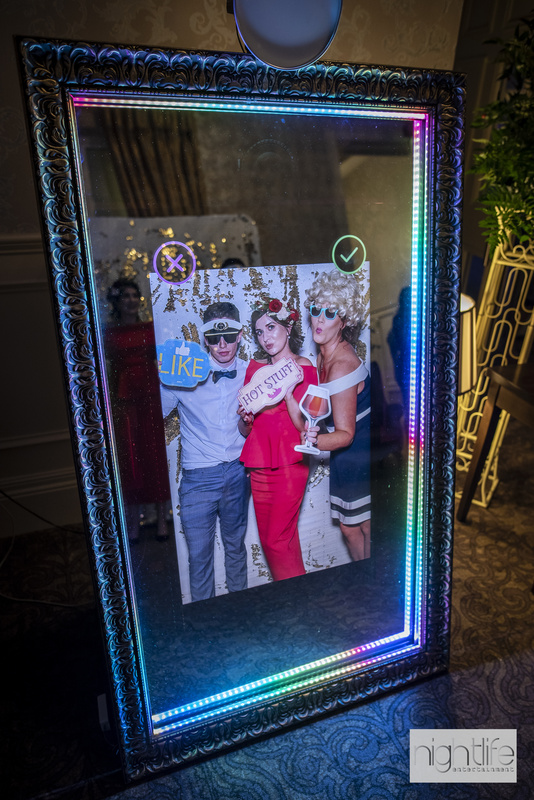 Photo Strips from the Mirror Me Booth are 4″x 6″ prints with 3 photos, come with a custom selected overlay frame on the photo and a custom monogram of your names and date on the print. 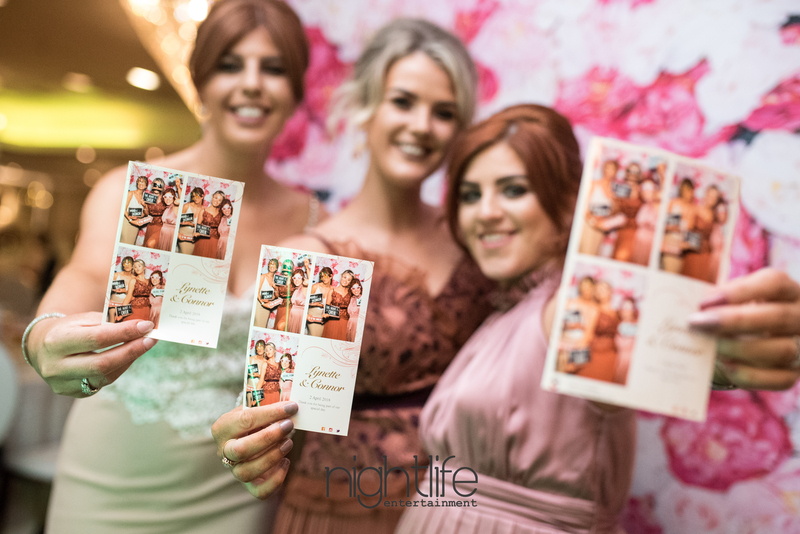 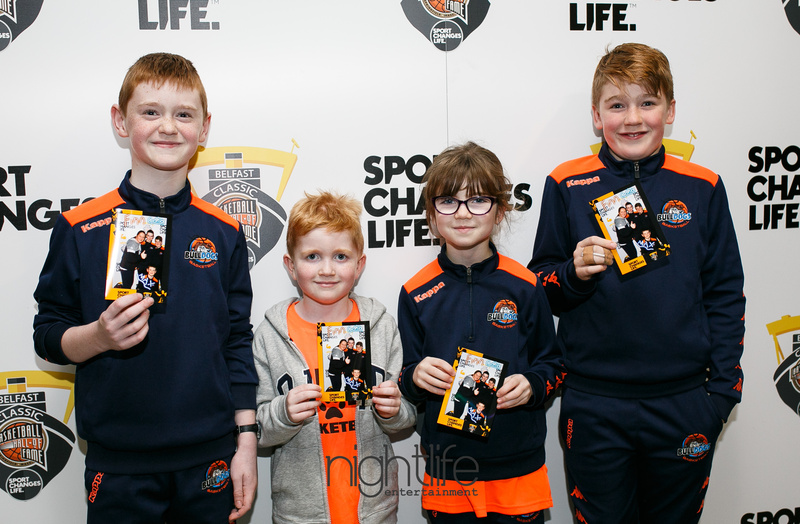 As a package upgrade, couples may choose a larger, 5 x 7″ or 8 x 10″ print for their guests….as you can see, the options are great & many, please inquire with our knowledgeable Nightlife staff. 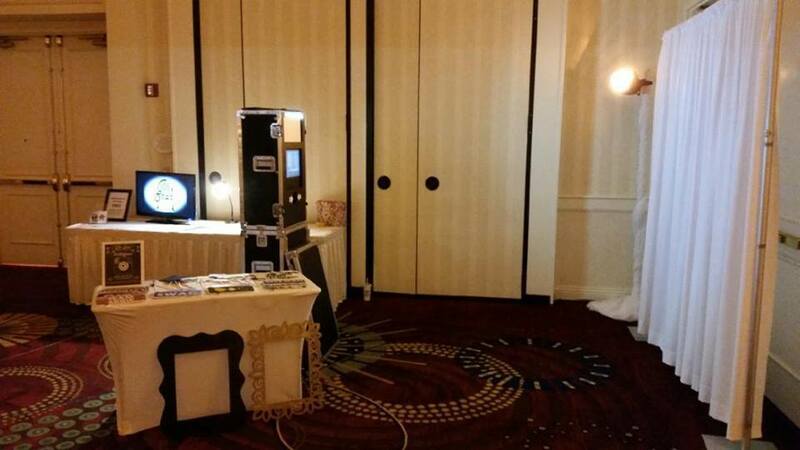 Our Enchanted Mirror Booth Packages begin at $799. 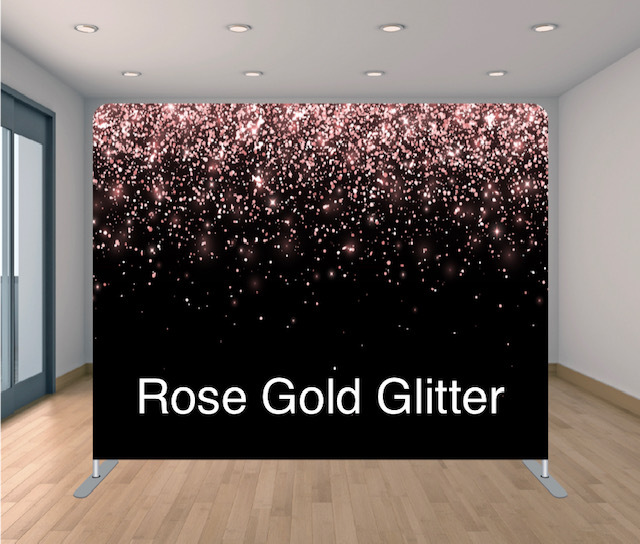 Up Grade Your Back Drop for Gorgeous Photos! 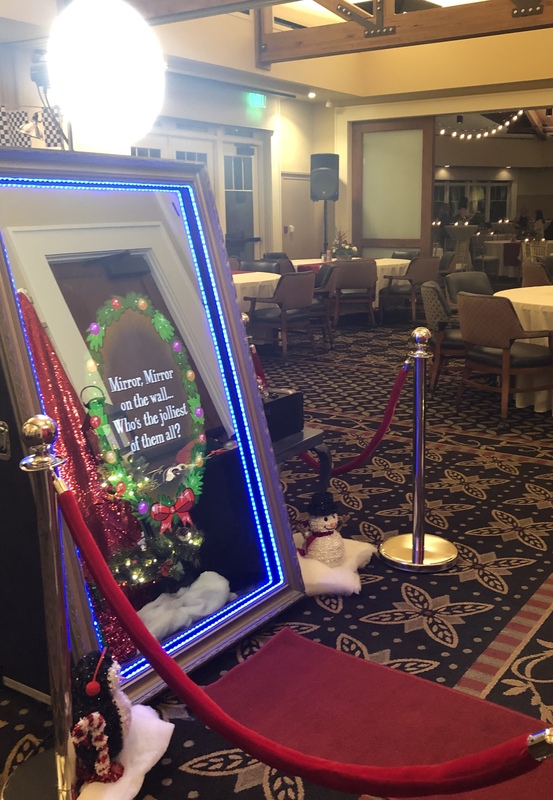 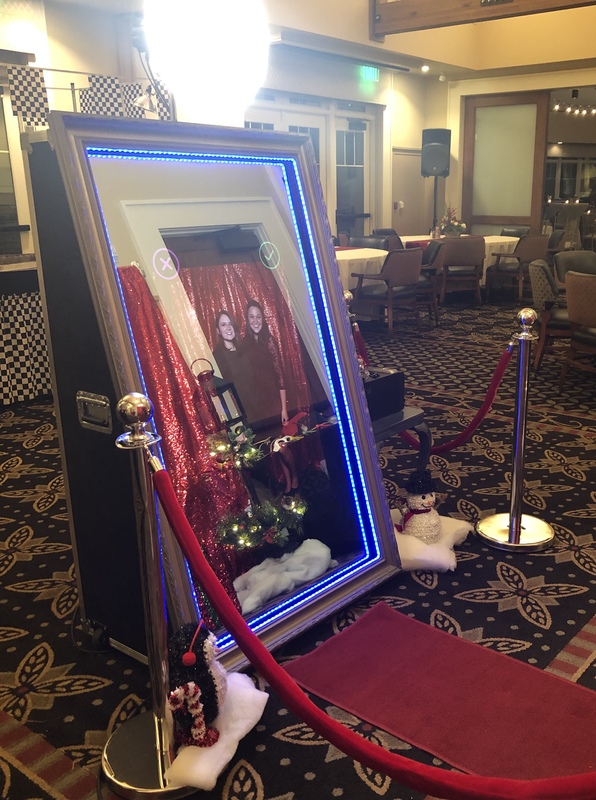 Classic Photo Booths: For those wishing to have a more nostalgic photo booth experience or desire a lower price point than our Enchanted Mirror Booth option, we have both enclosed and open-air classic photo booth rentals available as well! 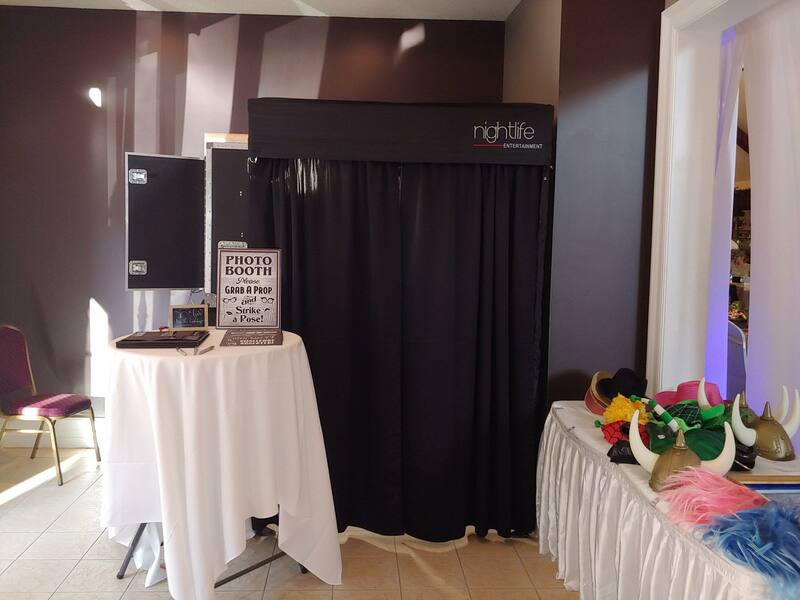 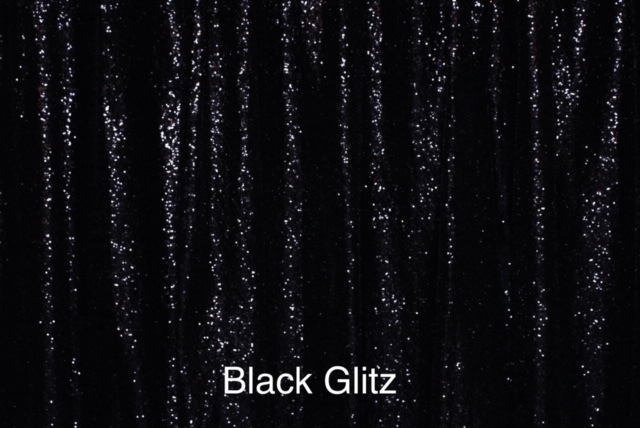 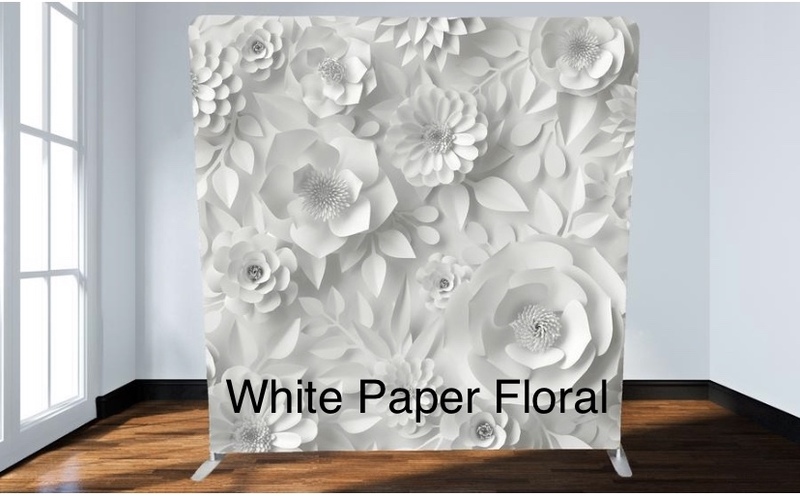 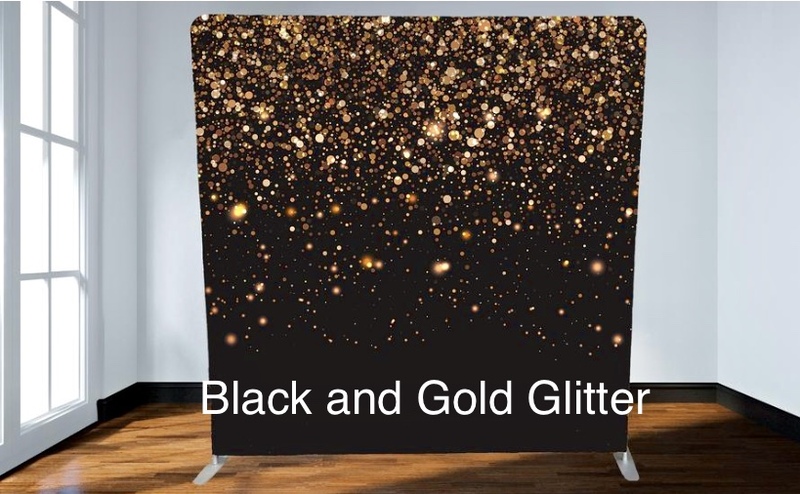 Our enclosed classic photo booth rentals are 5×5 enclosed privacy canopy booths with the standard option of a black backdrop that has a comfortable capacity to fit up to 4-6 adults at one time. 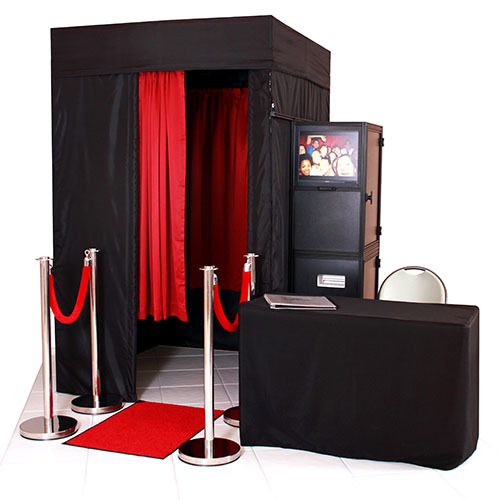 Open-air Classic Photo Booths can fit 6-8 adults at one time (more if carefully arranged) and also come with a standard black backdrop. 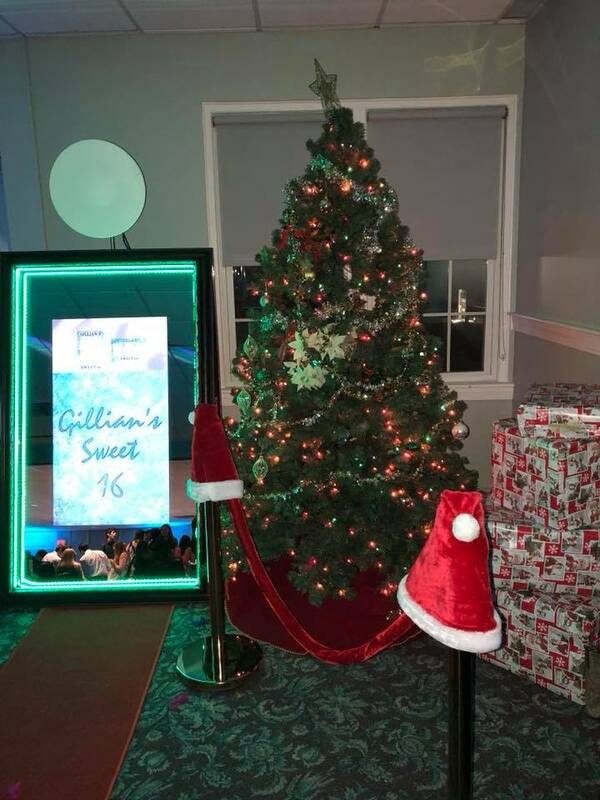 As an upgrade option with our Classic Open-air booths, you may also choose from the Custom backdrop upgrade selections found in the photo gallery above. 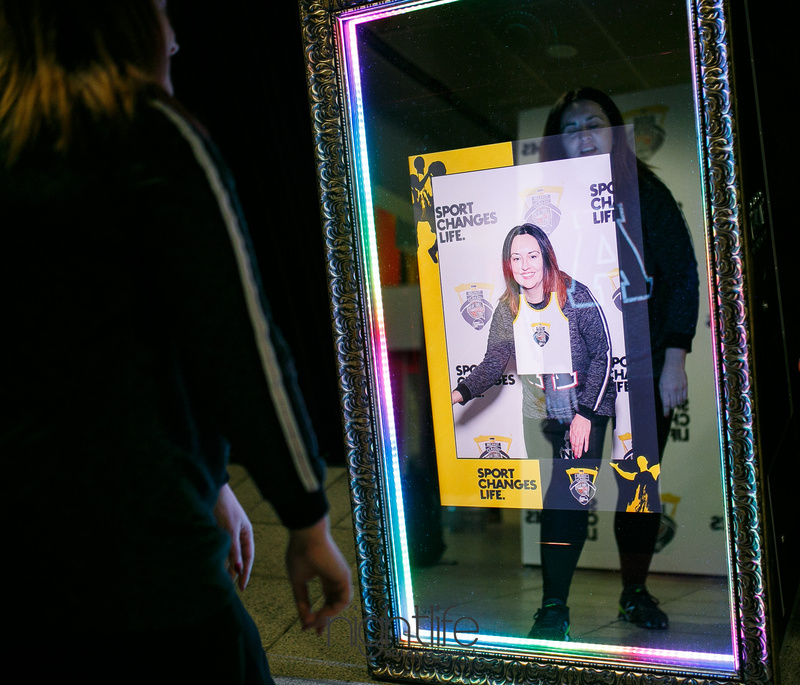 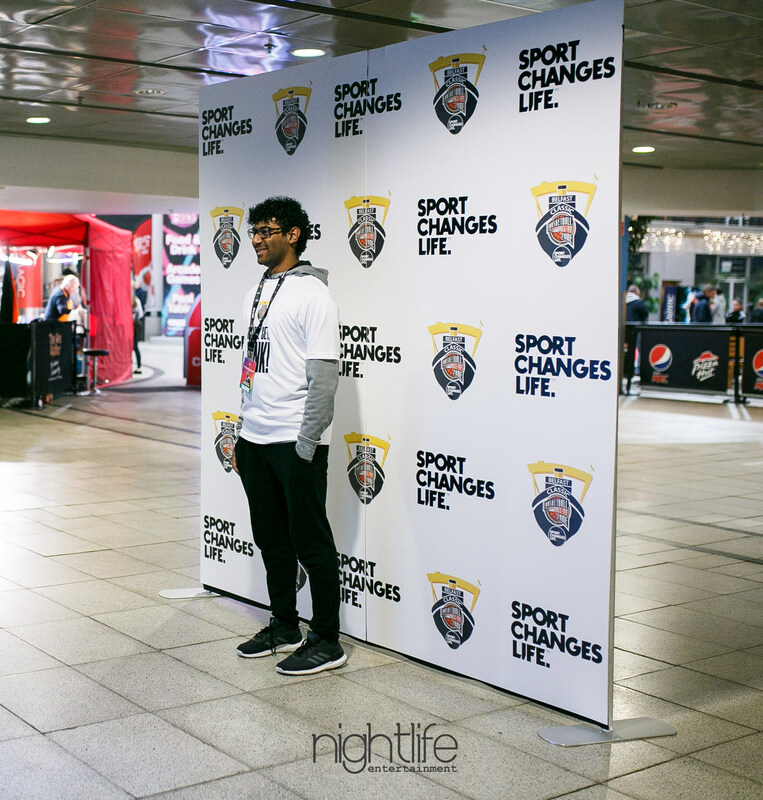 When the photos are taken and ready to print, the booth will print two vertical 2″x 6″ strips that feature three photos per strip. 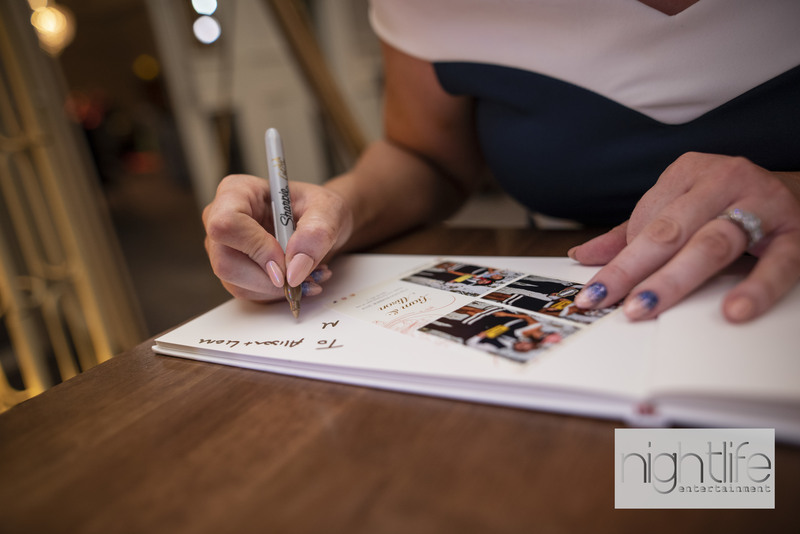 One strip copy will be given to the guests while the other one will be placed into a signed memory book for you to look back on and enjoy later. 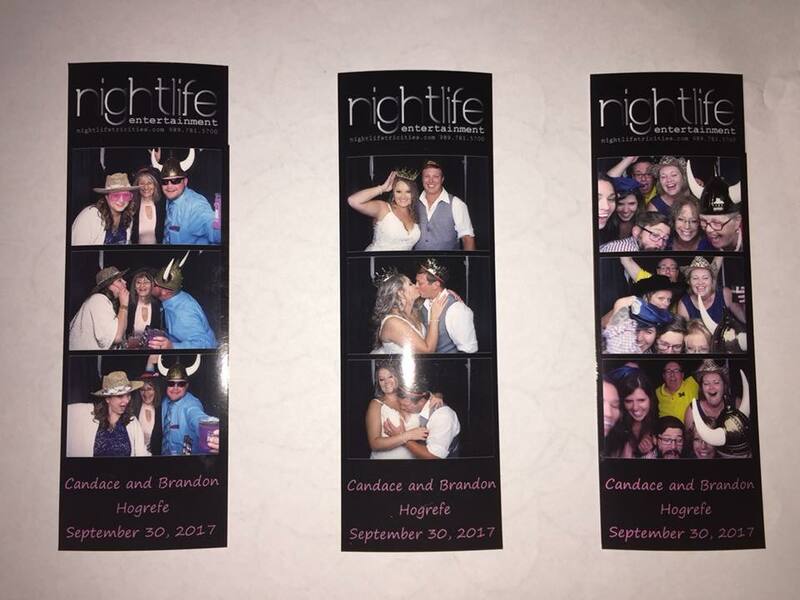 A custom monogram of your names and date for the bottom of your strip layout will be created for your event. 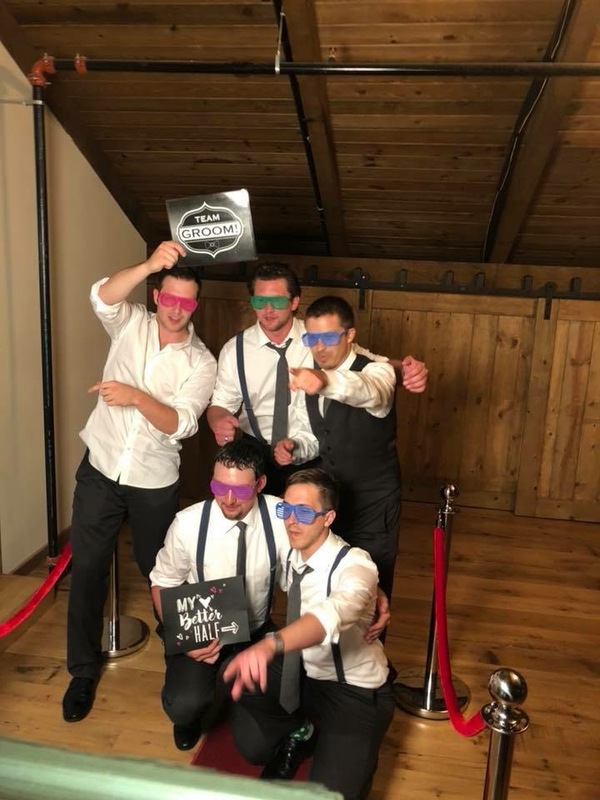 Classic Photo Booth Packages begin at $499. 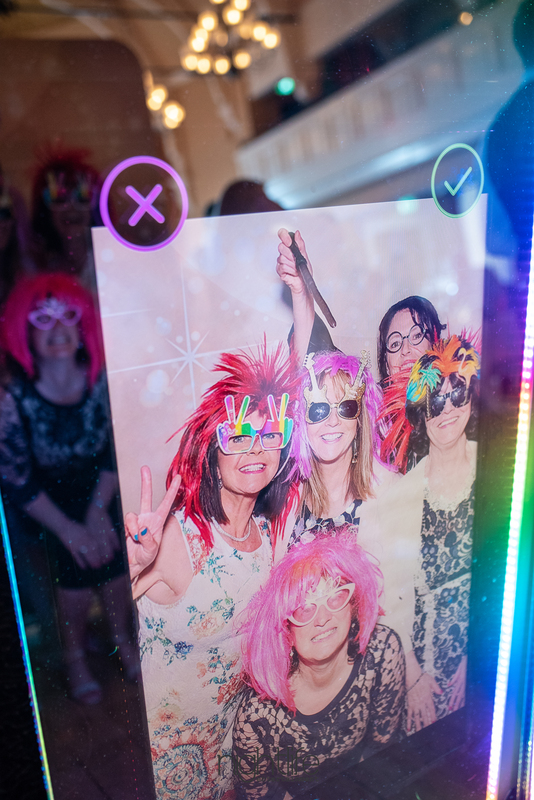 Special note about all our photo booth services: Please keep in mind when planning your special event that our Enchanted Mirror and Classic Photo Booths are not recommended to be used in very brightly lit areas indoors or in outdoors/sunlight without an enclosed canopy. 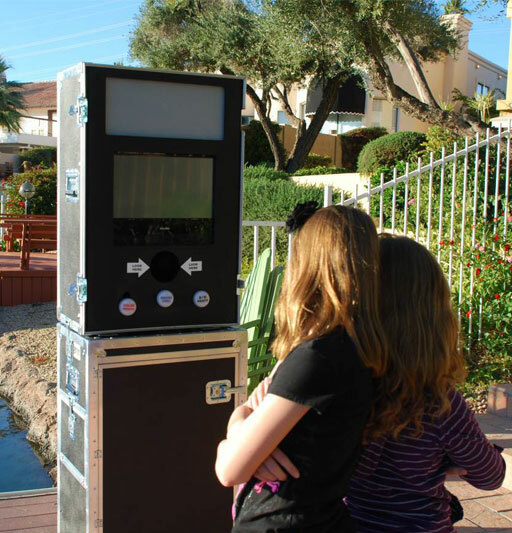 All outdoor events: Mirror and Photo Booth rentals will require a leak-proof, 4 sided covered back up option to protect equipment from sun and possible rain damage. 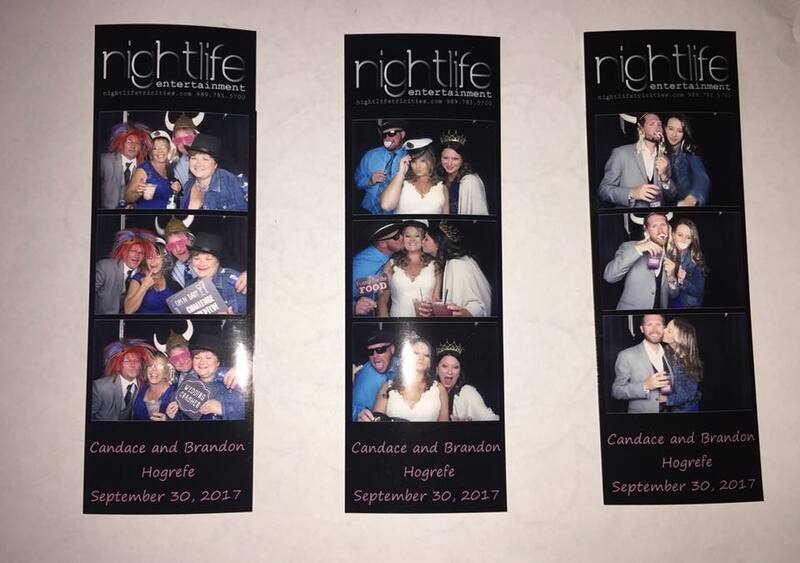 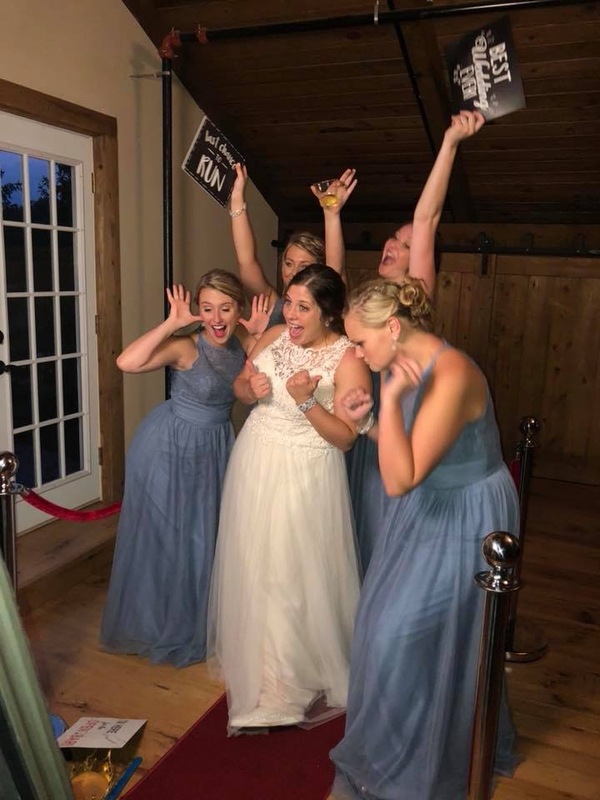 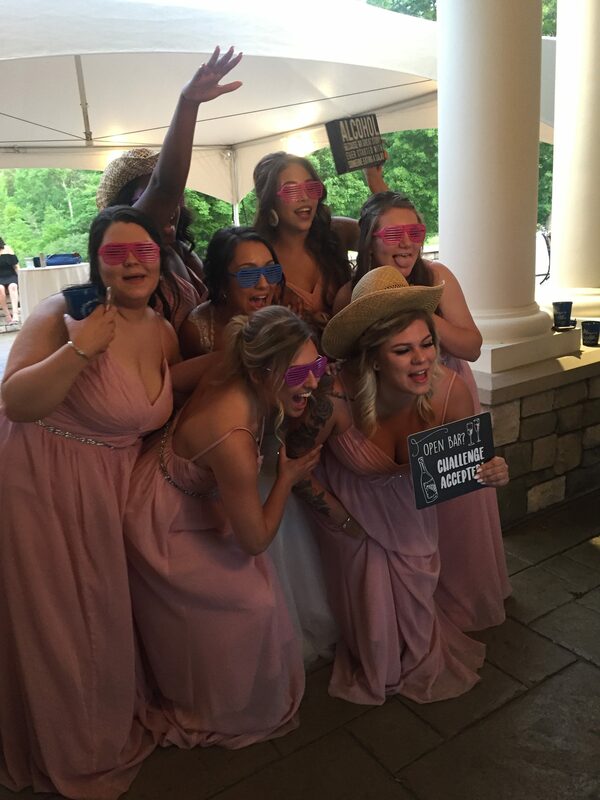 Regardless of the occasion, if you desire to rent a photo booth in Saginaw, Midland, Bay City or any of the surrounding areas in the state of Michigan, Nightlife Entertainment has you covered. 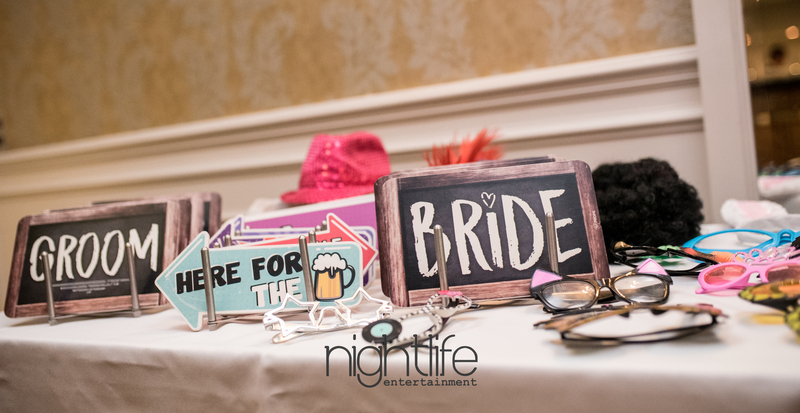 Contact us at 989-781-5700 or via email at jeffrey.nightlife@gmail.com to receive a quote and schedule your complimentary consultation!